As one of the most popular social network apps, WhatsApp is playing a more and more important role in people’s daily life. It allows us to chat with our family, friends or colleagues at any time easily. However, It’s very easy for us to tap on wrong options and delete all or some WhatsApp messages on iPhone by accident. And many people may ask the question” How do i recover deleted WhatsApp messages from iPhone?” In the post, we will introduce you several methods for you to solve the problem with ease. 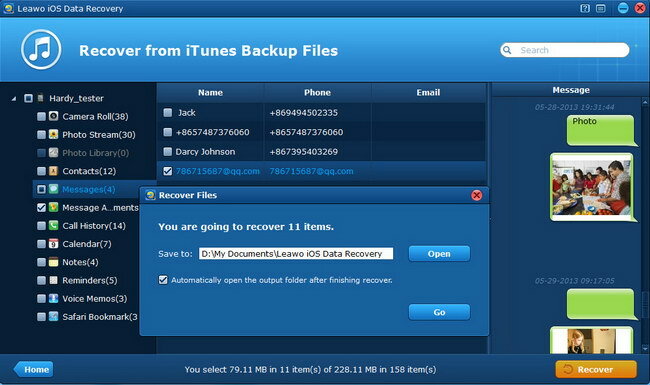 If you have no previous backup on iTunes or iCloud, you can take advantage of the third-party iPhone data recovery software to retrieve WhatsApp messages on iPhone directly. Leawo iOS Data Recovery is one of the most powerful iPhone data recovery tools to restore WhatsApp messages on iPhone. By using it, you can not only retrieve deleted WhatsApp messages from iPhone, but also WhatsApp message attachments. It enables you to retrieve WhatsApp messages directly from iPhone, iPad, and iPod touch, extract WhatsApp messages from iTunes and iCloud backup files. You can download the trial version to have a try. 1. 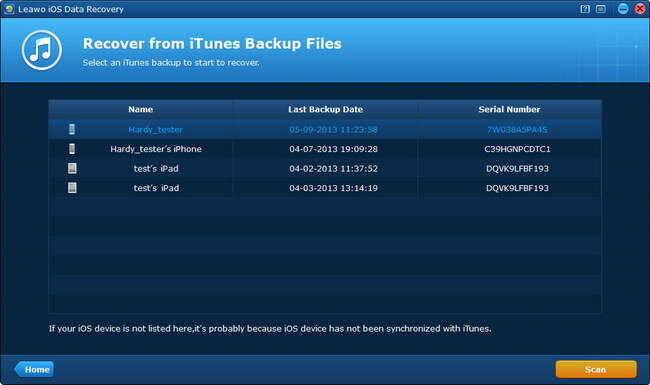 Run Leawo iOS Data Recovery on your computer, and you will see three recovery modes in the main interface. Choose Recover from iOS Devices and connect iPhone to computer with the USB cable. The program will recognize and analyze your iPhone. 2. After the analysis of the iPhone, Leawo iOS Data Recovery will start to scan the contents in the tablet. It will list 12 categories in the left sidebar, and allow users to choose when the scan is finished. Choose “WhatsApp” in the sidebar, and check the WhatsApp messages you want to recover, then click the “Recover” button at the right bottom. 3. After clicking the recover button, you will see a pop-up dialog. Click “Open” in the dialog to choose a folder on your computer to save the exported WhatsApp messages. Then click “Go” to start recovering deleted WhatsApp messages from iPhone. You will get the recovered WhatsApp messages in the target folder when the software finishes the recovery process. 3. After scanning, 12 kinds of data will be listed on the left sidebar, containing Camera Roll, Photo Stream, Photo Library, Contacts, Messages, etc. Tap on “WhatsApp” to preview all messages. 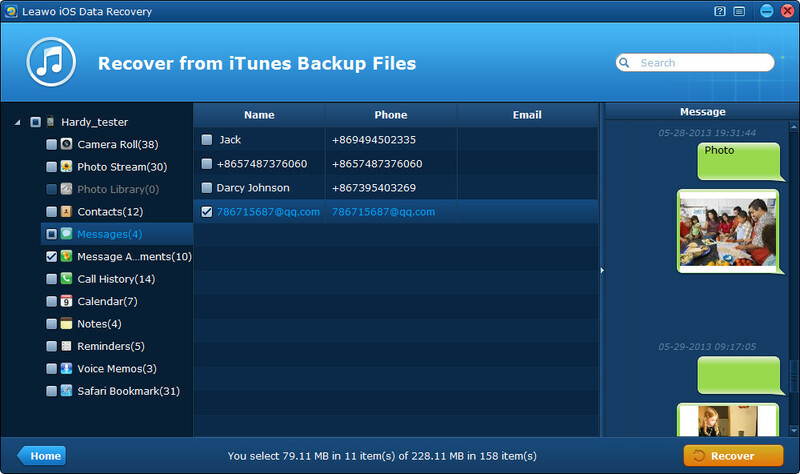 Then mark those messages and attachments you want to recover. 4. After picking out the WhatsAoo messages you want to recover, click “Recover” to continue, and specify a saving folder by clicking “Open” on the pop-up window, then tap “Go” to start exporting WhatsApp messages from itunes backup. 3. After scanning, 12 kinds of data will be listed on the left sidebar, containing Camera Roll, Photo Stream, Photo Library, Contacts, Messages, etc. Tap on “WhatsApp” to preview all the messages, and click “WhatsApp Attachments” to preview all the videos, photos, etc, attached to WhatsApp. 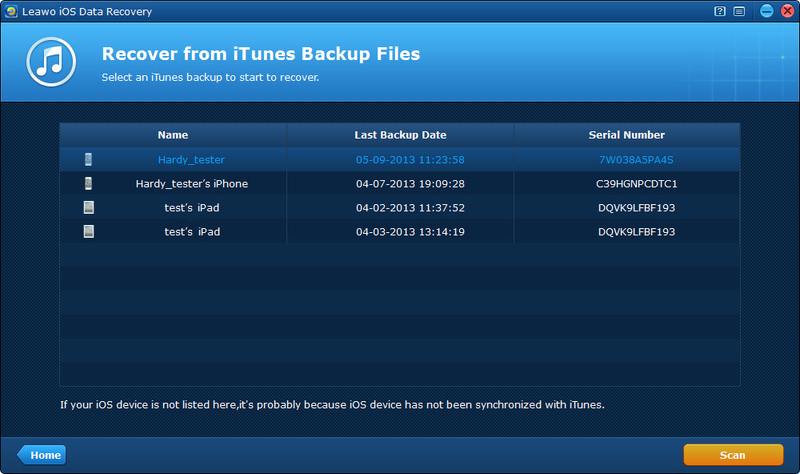 Then mark those messages and attachments you want to recover. 4. A dialog pops up after the recover button is clicked. Hit “Open” in the dialog to choose a folder on your computer to save the exported files, and then click “Go” to start extracting WhatsApp messages from iCloud backup.